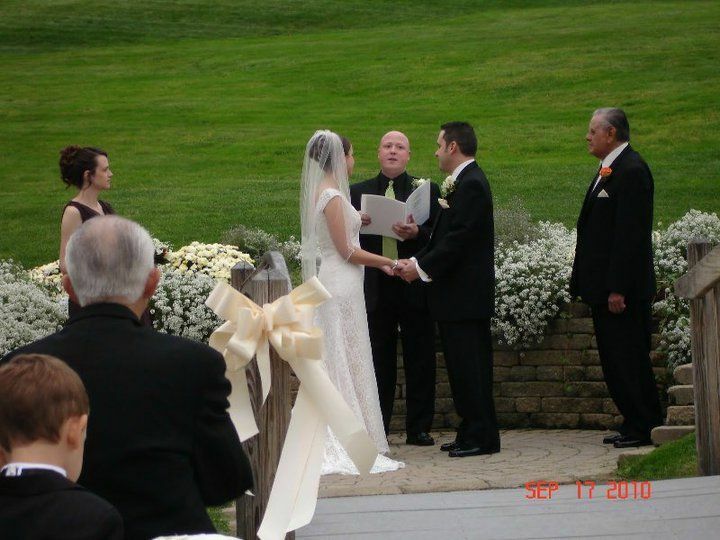 The Marrying Priests is a Belmont, Massachusetts-based company offering personalized wedding officiant services. This team of friendly Christian ministers believes that God loves everyone equally, regardless of their religion, beliefs or orientation. 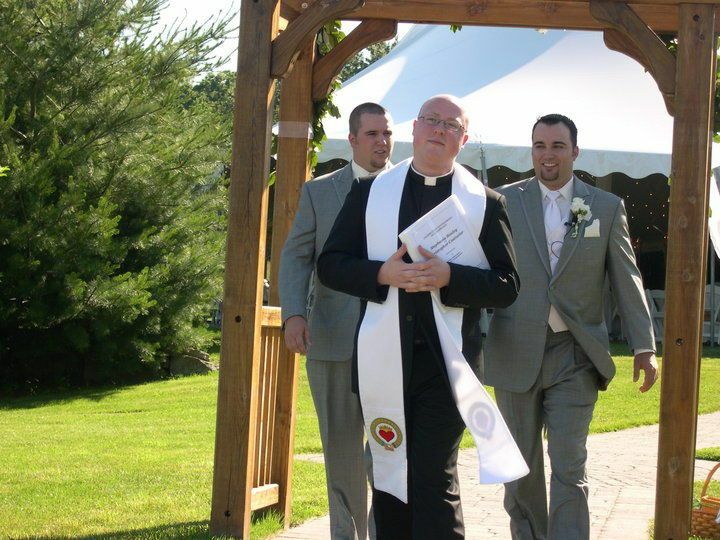 The Marrying Priests understand that your ceremony is what the whole wedding day is centered around. They’ll help you design the perfect words to express the overwhelming love between you and your spouse. 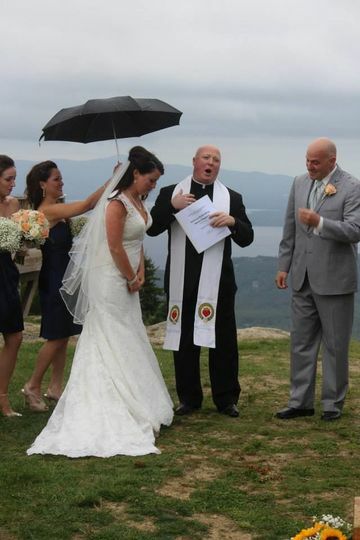 Father Matthew Michaud officiated our wedding on July 20th at Birchwood Vineyards in Derry, NH. He was perfect! It was an extremely hot day along with emotions and anxiousness running high, his charisma, humor and charm really calmed us down during the ceremony and we could not have been happier with the whole process and the overall outcome of the ceremony. Both families we extremely happy and all we heard were non stop compliments about Fatthew Matthew all night. He comes highly, highly recommended and we will be forever thankful we chose him to be a part of out wonderful day. Thank you so much for letting me be there! I really enjoyed meeting your wonderful family and friends. I really appreciate your kind words. Many blessings for you both! Your ceremony is the most intimate, personalized, and special part of anyone’s wedding. As Alex and I are couldn’t have a complete religious ceremony it was extremely important to us that we found a JOP who understood our personality’s as indivuals, morals, and overall us as a couple. When we first met Matthew right away he blew us out of the water. He is incredibly kind, professional, and funny. Of course it can be nerve wrecking to have someone you don’t know marrying you, but right away Matthew put all those worry’s aside. If anyone asked our wedding guests what the highlight of our wedding was, most would say our JOP, Matthew. He created for us the perfect ceremony we could ever ask for. He made us feel valued and honored as a couple, and he had our guests laughing at the perfect times. 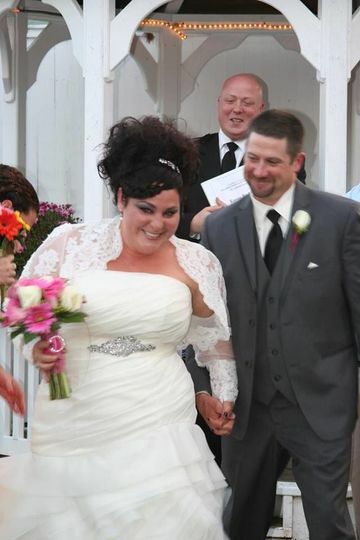 It was such a special moment and I highly reccomed his services to anyone who is looking to have a unique and personal ceremony like my husband and I did. Thank you so very much for your kind words. It was a real pleasure meeting your family and friends, and being able to help you guys celebrate your love. Congrats again! 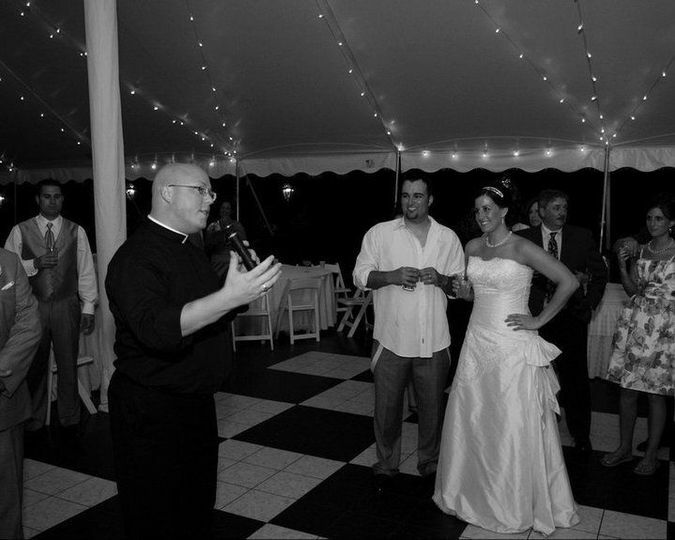 Father Matthew was awesome and we could not have found anyone better to perform our ceremony. He was so kind and easy to talk with. It was obvious he is someone who wants to see couples getting married, as well as their parents/relatives/every person attending the wedding, religious or not, be as happy as possible when celebrating the special day of two people promising to love each other for the rest of their lives, and the uniting of their families. 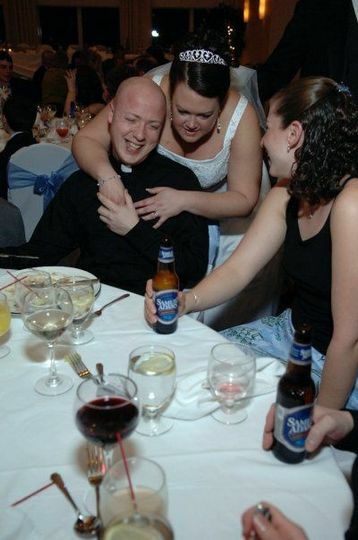 When we first met with Father Matthew, we could tell how serious he takes marriage; asking us a list of questions about us and making sure he knew we were committed to each other. 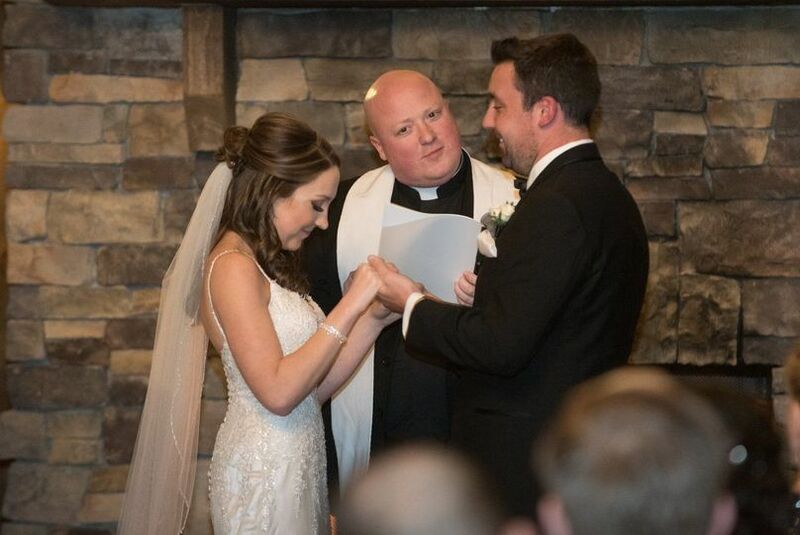 He had us do a bit of homework before the wedding, which actually helped shaped the homily he gave, and more importantly helped shaped our vows. He was able to make a 35 minute ceremony fly by, keeping things light and upbeat with a little humor thrown in there, but at the same time everyone could tell how serious he takes weddings. 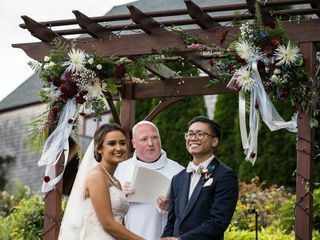 All of our guests kept talking about how awesome the ceremony was and complimenting Father Matthew for making our wedding day so special, fantastic, and memorable! 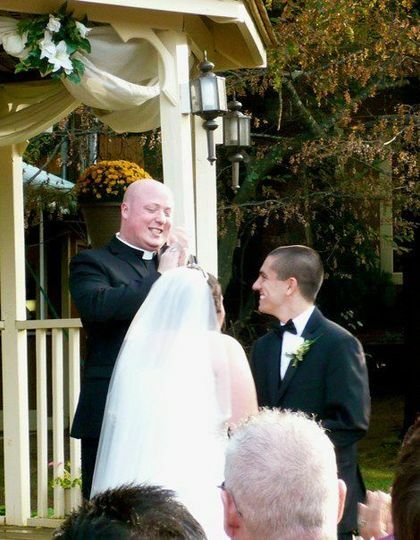 We absolutely loved working with Father Matthew and would highly recommend him to anyone!